Millésimes à la Carte is a unique place in Beaune. Our contemporary tasting space presents the best of Burgundy over 200 m² dedicated to your pleasure with the tasting of 40 wines by the glass and a wine shop where you can purchase our selection at direct from producer’s prices. With over 25 years of professional experience in the wines of Burgundy , Thierry Prat created Millésimes à la Carte to make Burgundy simple for you, as this beautiful area is sometimes considered exclusive and complex. He intimately knows the players , passionate winemakers , the vineyards and the secrets of wine tasting. • first, among the 4000 regional winegrowers , only those whose quality wines are regularly awarded medals ( Tastevinage , Burgundia d’Or … ) or rated in the best competitions ( Mâcon, Paris … ) or the specialized press have been retained. 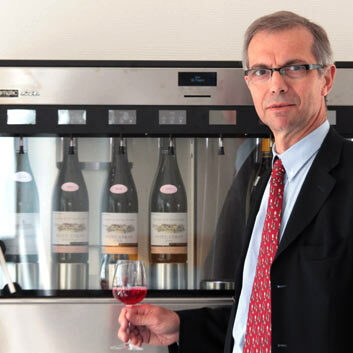 • then a final round of tasting allows Thierry Prat to retain « the best of the best » : wines that will give you satisfaction when tasting and for years to come . Our professional Enomatic equipment allows to taste à la carte 40 wines by the glass, served in perfect condition of conservation at ideal temperature. All starts by purchasing a prepaid card. It will allow you to enjoy freely through our 40 wines , from regional appellation to Grand Cru , choosing the serving you want : 30ml or 60 ml . 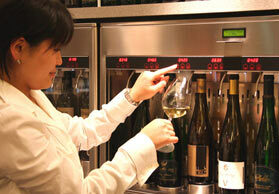 The price of each wine is shown on our machines. You can also choose thematic tastings by following one of the workshops we have designed to allow you to discover Burgundy from several angles , whether a first initiation or a more expert approach. During the tasting , our team is at your disposal to help you simply enjoy the pleasures of the senses to discover Burgundy wines or give more explanations on a wine , a land, a producer … We are here to help you according to your wishes and to share our » contagious passion « . Our premises are fully accessible for people with disabilities or reduced mobility. We have a free parking lot so you can park easily and load your precious purchases directly to your car. 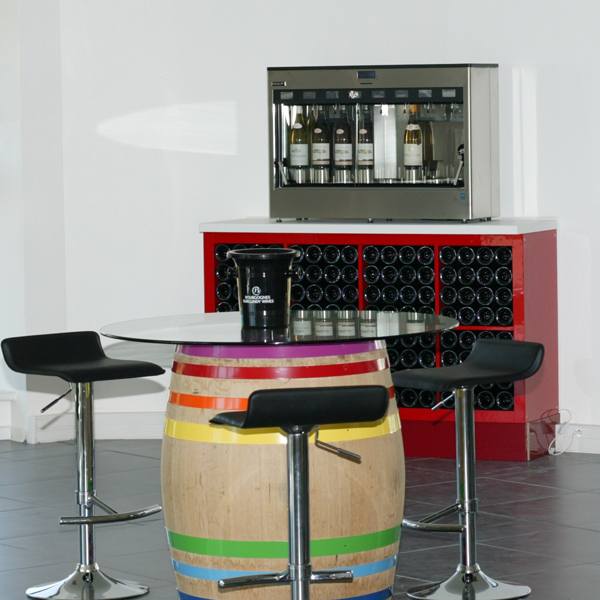 You have the possibility to buy locally or online all the wines we offer.